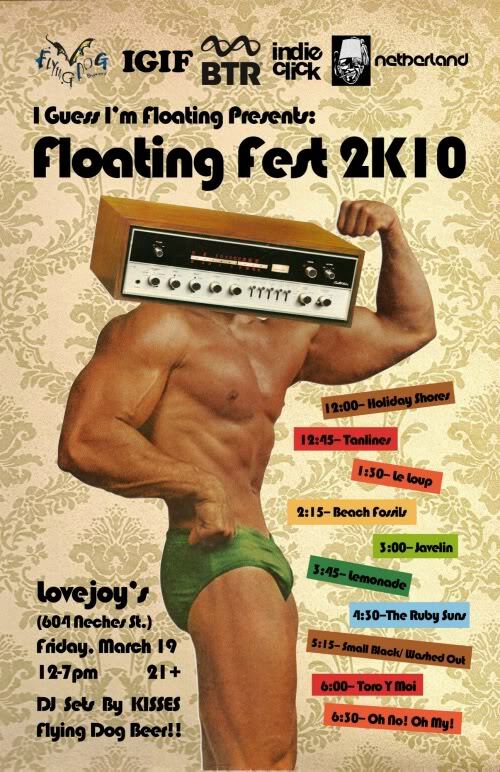 I Guess I’m Floating has announced the details of its SXSW party called Floating Fest 2K10. The lineup will feature performances by Oh No Oh My, Toro Y Moi, The Ruby Suns and more. No badge, wristbands or R.S.V.P. are required to attend (first come, first served!). Check out full details of the event below!